If you are looking for specialist medical negligence or personal injury solicitors, whether you are in Bath or Bristol as we are, or anywhere in England or Wales, we can provide you with a fast, efficient service. For a free, no obligation discussion about your legal rights and options, please call us now on 0800 234 3300 (or from a mobile 01275 334030) or complete our Online Enquiry Form. "Before we contacted you we had no real idea that we had grounds for a medical negligence claim but after speaking to you it became clear that Wendy was indeed treated poorly. Chris Bird took the time to explain what was happening and kept us to speed. Our deepest gratitude to you all and Chris in particular." Glynns Solicitors is a specialist accident claim and medical negligence claims law firm based in the South West of England conveniently placed between Bristol and Bath. We use our expertise to fight for justice of innocent victims, to obtain the right amount of compensation and to help them to make as quick and as complete a recovery as possible. 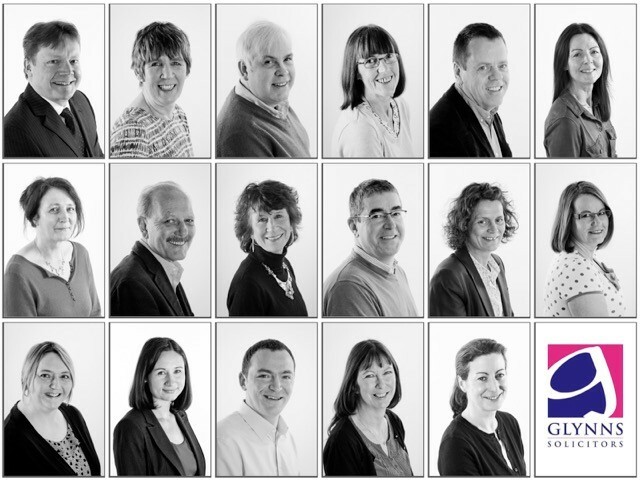 Formed in 1983, Glynns has evolved through years of experience to become a niche practice which prides itself on a service of excellence with total commitment to client care. We specialise in helping people who have suffered from personal injury as a result of accidents at work, on the road and in public places and victims of medical negligence. "no win no fee" basis. "Lucy, I just wanted to say a massive thank you to you following the outcome of my case. I already feel so much better knowing that I have the funds to try and get better and that if things do get worse in the future, as a family as can manage financially. A huge weight has been lifted! Thank you so much for all your hard work and for the caring and sensitive way all matters were dealt with."